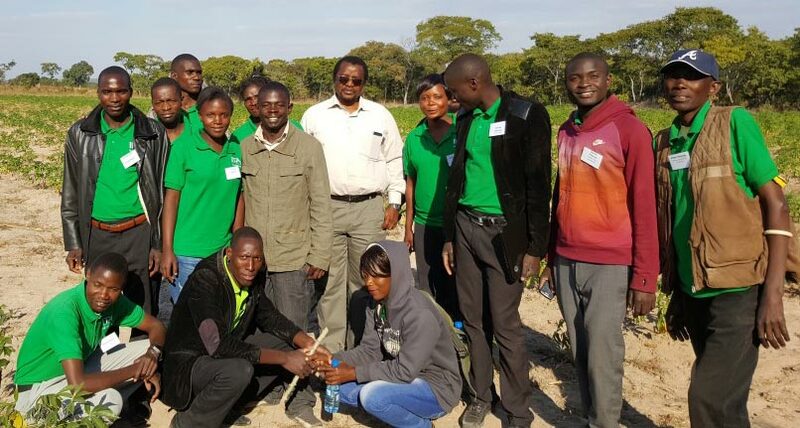 From 20 to 24 June, the Zambia IITA Youth Agripreneurs (ZIYA) arranged for and underwent a training course on “Seed production for business” in Kaoma District in the Western Province of Zambia. Youth in Kaoma are actively involved with the cassava Innovation Platform set up by IITA in the district. ZIYA youth trainees at a cassava seed multiplication site in Kaoma. The training was conducted by IITA in collaboration with the Seed Control and Certification Institute (SCCI). Facilitators were Henry Malwa and Brian Hanzala from SSCI, and Nhamo Nhamo, IITA-Zambia agronomist. The IYA training course was officially opened by Sichibuye Mwanangombe, Acting District Commissioner for Kaoma. Also in attendance at the opening of the course were other important members of the Kaoma community, which included the acting District Agricultural Coordinator, Rodgers Chipatala; the Senior Agricultural Officer of Kaoma, Daniel Nampaka; and the Chair of the Kaoma Cassava Innovation Platform, Njamba Ngangula. The youth training course covered five thematic areas: seed industry, certification, and legislation; seed production principles and standards; recommended practices and field requirements in seed production; seed quality control covering processing, sampling, testing, and storage; and seed production enterprises. The course had two major objectives: creating awareness and increasing knowledge on the different aspects of seed production as a business venture; and production of draft cassava, maize, and soybean-based seed production proposals, using the knowledge and skills learnt from the seed enterprises session of the training. 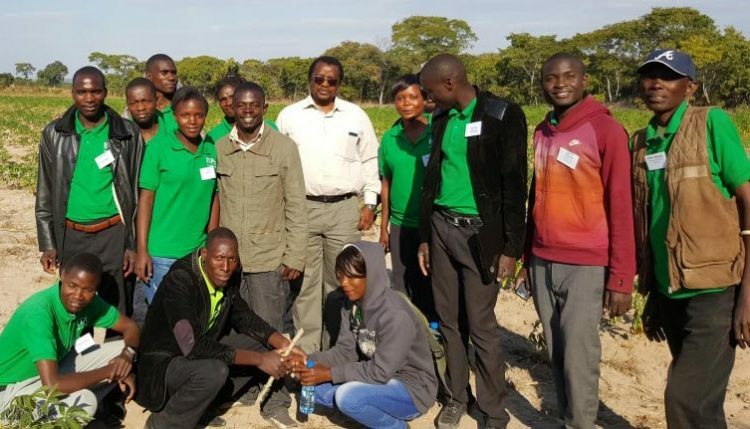 Apart from theoretical and practical sessions, the youth trainees also went on field visits to various agriculture-based business enterprises in Kaoma and in the neighboring area of Kalumwange. The week-long training course was closed by David Chikoye, IITA Regional Director for Southern Africa, who praised the youth agripreneurs for their enthusiasm and strong will to go into agriculture as a viable business venture. Participants were awarded certificates for the course.